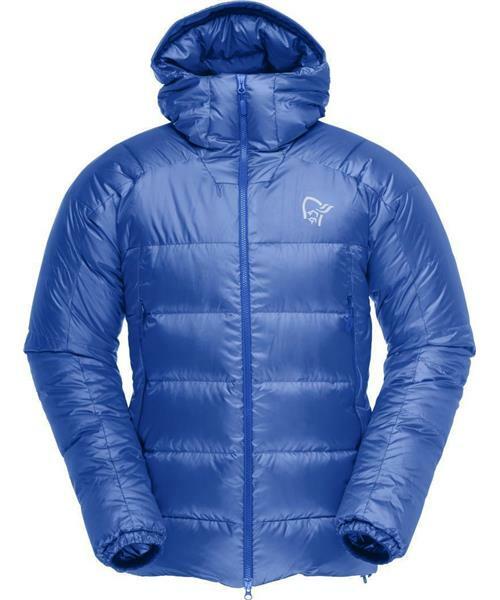 The trollveggen down850 Jacket is the new and much lighter version of Norrona's warmest and most durable down jacket. Made for adventurous and demanding mountaineers, the jacket offers excellent warmth and durability when challenging both the cold and steep mountains. With its new and more fitted design, we have improved both the moving range and the volum size. It has practical hand warming pockets, an insulating hood with one hand adjustment option and a little inside pocket.